Last October, I was rooting for a World Series that did not come to fruition. I wanted to see the Los Angeles Dodgers engage the Detroit Tigers in a no-holds-barred best-of-seven series for baseball immortality. Why them? Both franchises have histories that stretch back to the earliest days of their respective leagues, but the two teams never faced each other in October. We ended up watching the Boston Red Sox face the St. Louis Cardinals for the fourth time (1946, 1967, 2004 and 2013). With the National League and American League Championship Series set to commence this weekend, we are assured that this year's Fall Classic will be unique. The San Francisco Giants, who began life back in New York, have reached the World Series 19 times. The St. Louis Cardinals, who have always called the Gateway City home, have won 18 National League pennants. 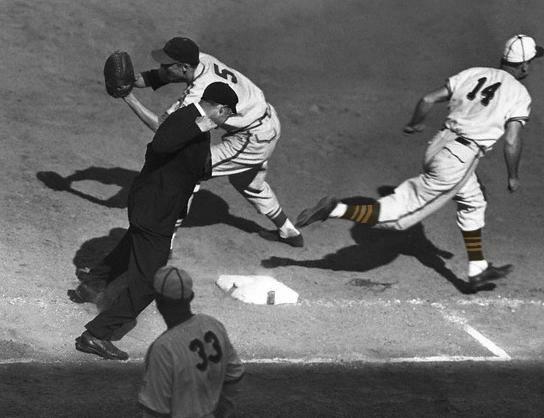 When east coast teams began moving westward during the 1950s, the St. Louis Browns bucked the trend and moved east becoming the Baltimore Orioles in 1954. Counting their days as the Browns, the Orioles have played meaningful baseball in October seven times. Founded in 1969, the Kansas City Royals are the most junior of the four franchises. 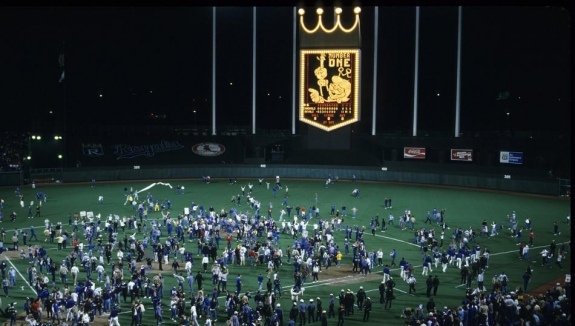 Despite being formed during the Nixon administration, the Royals have claimed two American League pennants. Since these teams have such rich histories, surely they've met in October before. Sadly, not too often. Twice in fact. Of the four potential World Series matchups, only two have materialized in the past. How about the Giants and Orioles? Nope. Not in New York and not as the Browns. Giants and Royals? Again, nope. We need to rewind to the days of World War II to find the first matchup. Being literal, the Cardinals and Orioles have not faced each other in October. Prior to their eastward migration, and decades before the construction of the Gateway Arch, the Browns and Cardinals played in St. Louis' only crosstown World Series in 1944. The Kansas City Royals only needed 11 years to reach their inaugural Fall Classic. While they fell short that season, just five years later in 1985, they claimed their lone baseball crown as they defeated the St. Louis Cardinals in seven games. So which World Series am I rooting for this year? If I were to root for the Cardinals, I could potentially rip the fabric of reality. I guess that helps limit my options. Here's to a World Series between the Giants and Royals. I'm watching now! Great series. Go Giants!! You must be excited. Three World Series titles for the Giants in the last five seasons (2010, 2012 and 2014).